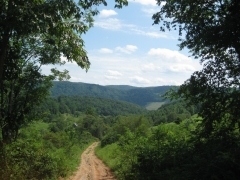 6.15 Acres - Great horse property in Tennessee with 100% owner financing. This property sits very nicely and has plenty of choices for homesites. Horses are allowed!